We prepared two exquisite thematic one-day trips for the accompanying persons, visiting Slovak folk and spa heritage on Tuesday Sep 6 and Austrian imperial heritage on Thursday Sep 8, 2016 (during the scientific program of the conference). 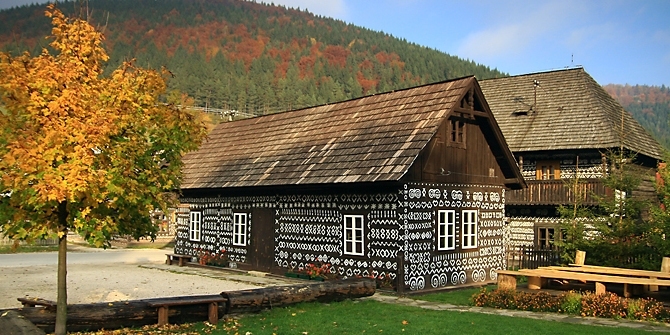 Čičmany is one of Slovakia's most unique village known by its folk architecture and dark-painted wood houses covered with white-painted decorative patterns. They look exactly like gingerbread houses. In the late 18th century, residents put lime paint on the outside of the houses to protect the wood where it was damaged. But the paint evolved from practical to ornamental in shape of crosses, hearts, stars, spirals, pinwheels, reflecting the motived commonly seen in local needlework. Wooden houses of the folk culture will take you back in time and the museum 'Radenov dom' will show you the original life in this folk houses village. Leaving Čičmany our next stop will be in Rajecká Lesná, the village famous for its wooden Slovak Bethlehem. The Slovak Bethlehem is a masterpiece of Jozef Pekara, a carver from Rajecké Teplice. The masterpiece is 8.5 meters wide, 2.5 meters deep and 3 meters high. It shows not only the birth of Christ in Bethlehem and his life, but also the history of the Slovak Nation. Altogether it shows 170 moving and static figures in folk costumes working, playing, some as pilgrims all together symbolizing the devoutness of Slovaks, and over 150 animal figures. 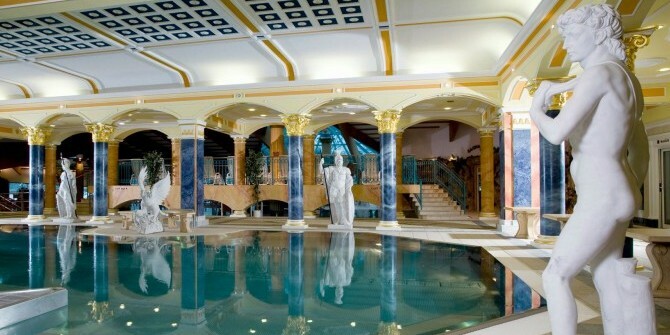 The tour will end in an exclusive spa centre Aphrodite in Rajecké Teplice. The spa is a luxury facility designed for the most demanding clients who seek quality medical treatment and leisure spa services. The spa offers both relaxing and artistic experience. 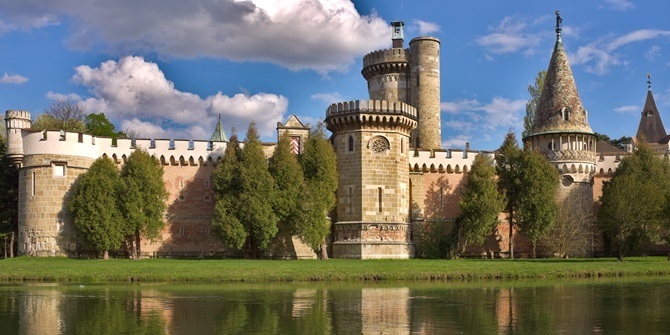 Laxenburg castle is an imperial palace and castle situated about 15 km south of Vienna, the capital city of Austria. The castle has its roots in the 13th century and is one of the most impressing castles in Europe. It formerly served as a summer retreat, along with Schönbrunn palace, for the imperial Habsburg dynasty. The Emperor Franz Joseph and his wife Sisi spent their honeymoon here. An important part of the castle is a park with its gardens - considered a prime example of horticulture of the 18th and 19th centuries. You can have a nice walk to the neighbouring Franzensburg castle from there. 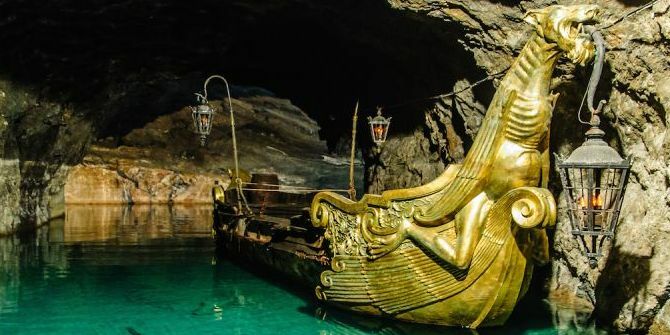 The trip continues with visiting the Europe's biggest underground lake Seegrotte in Hinterbrühl. The Seegroote is a former gypsum mine formed in 1912 by an underground blasting operation in the mine that went aawy and caused 20 million liters of water to gush forth from behind the rock. The lower level galleries of the mine were flooded, creating the largest subterranean lake in Europe. You will have an opportunity to see the lake from a motor boat with the professional guiding.